Even I used to make that joke when I was a vegetarian, and so did so many other vegans before making the switch. To be honest, when I was a vegetarian, I replaced meat with cheese. My diet was exclusively pizza, grilled cheese, and mozzarella sticks. But as I became more aware of the realities of the dairy industry, I knew that I had to change my ways and go vegan. I know that it seems hard, but if I could do it, so can you. If you go straight from eating steak to pounding soy milk and nutritional yeast, I'm impressed. But I would suggest to most people to go vegetarian before going vegan, because it gives you time to adjust. Although cutting dairy is the purpose of this post, changing your diet is hard, so it’s better to do it properly with a plan than to feel overwhelmed and give up on the entire thing. I went vegetarian when I was sixteen and soon the idea of eating a dead animal became such a foreign concept to me. I’d look at menus and think about how strange it was that they had chicken, because chicken isn’t food. I went vegan at nineteen and it was a challenge, but now it’s easier than pie (eggless, dairyless, lardless pie, of course). If you mess up, don’t be too hard on yourself or give up on your progress. The fact that you’re cutting back and choosing to be aware of your intake still makes a difference. The more you work on it, the bigger impact you'll have. Finding new vegan food to replace your former favourites. It’s hard. I’m not going to sugarcoat it. I spent nineteen years putting cheese on everything and habits are hard to break. Your first trip to the grocery store after choosing to go vegan is going to be disorienting. You’ll probably only buy spicy fries or Oreos and then cry when you find out that most chips contain modified milk ingredients. But you’ll be okay — it takes time and research. Once you finally conquer the grocery store, you’re probably going to have a bunch of alternative cheezes, but don’t get caught up comparing them to cheese. There are no vegan products that melt and stretch the way you’ll want them to, but they're still delicious. Comparison isn’t the goal; finding good food is. Instead, ask yourself if it’s something that you enjoy — if it is, why should its resemblance to cheese matter? Soon you won't even care about cheese because sautéed mushrooms and grilled eggplant will be the only things on your mind. Thoughts of asparagus, berries, tofu, spinach, bread, and red onions are so exciting with all their possible combinations. There are actually a bunch of meals that I hated when they were made with animal products, but fell in love with when I tried them as plant-based. The idea of pouring a glass of milk to drink is horrifying despite the ethics behind it. A glass of milk is a glass of pus and cow hormones. Masking it in chocolate is just adding sugar to the atrocity. Even if you're not doing it for the animals or the environment, removing dairy from your diet will benefit you. Each animal produces milk for its children with customized nutrients for their needs as animals. 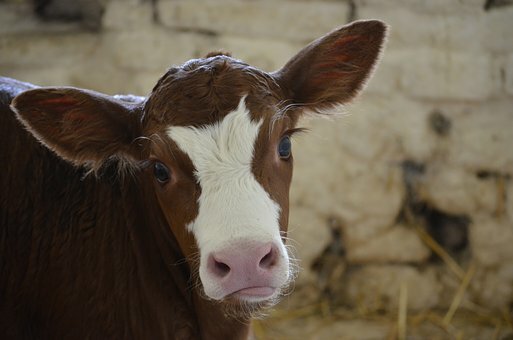 If humans also produce milk, why would it make sense for us to use some that is designed for calves? Lactose intolerance is natural for humans because our bodies aren't equipped to break down baby cow fuel. Dairy is perceived as healthy because the dairy industry spent their money strategically, not because it actually is healthy. I feel so much cleaner, energetic, and happier when I run on scrambled tofu and green smoothies. Dairy Farmers of Canada recently released an ad that says, “If it’s made with Canadian milk it’s worth crying over.” So even they’re admitting that dairy is scary. There are so many milk alternatives, such as: soy, almond, coconut, cashew, hemp, and oat. There’s bound to be one that you’ll like. So, even if going vegan seems impossible to you, you should still be open to small changes that benefit yourself, our planet, and our animal friends. As you make these small changes, your habits will evolve and eventually, you will be ready to take on the empowering adventure of full-fledged veganism — which comes with the perk of being able to watch videos of adorable piglets without feeling any guilt at all. Marissa Bryans is a witty vegan who likes to question the rules of life. She uses humour to point out behaviours that shouldn't be dogmatically followed and hopes to make you think about new ways to live your life.